Growers House Essentials introduces its newest product. High quality, affordable, fabric pots perfect for propagation, transplanting, pot in pot applications, direct to garden, hydroponics or just regular potting. Our black fabric pot is made of high quality 260g/m2 thickness fabric making it one of the best fabric pots on the market. Its also made from recycled materials and is fully biodegradable. Transplanting into larger containers or gardens? 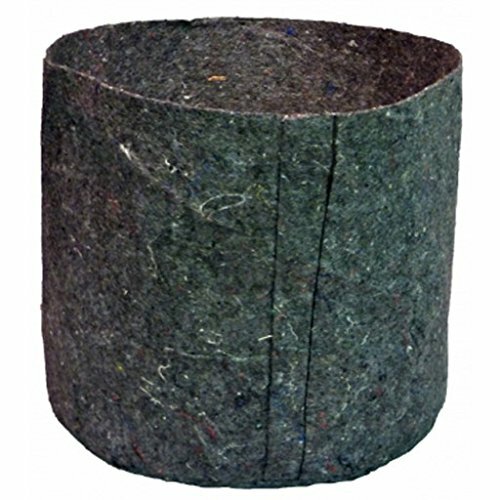 Our Charcoal Fabric Pots are pots are biodegradable if placed in the ground or surrounded on both sides with soil, breaks down in 18 to 24 months. Easily transplant young plants without disturbing or cutting off delicate root tendrils. Imagine never having to cut apart a plastic pot or shake soil off a root ball again. If you have any questions about this product by Growers House Essentials, contact us by completing and submitting the form below. If you are looking for a specif part number, please include it with your message.